Ultrasound is a form of mechanical energy that acts according to the properties of wave-form physics. Ultrasound is used in several fields, and ultrasonic devices are used to discover objects and measure distances. Ultrasounds have many advantages as they do not require needles, injections, and incisions and these are generally painless. The types of ultrasound include abdominal ultrasound imaging, pelvic ultrasound imaging, trans abdominal, transvaginal, transrectal, obstetric ultrasound imaging and carotid and abdominal aorta ultrasound imaging. By technology, the ultrasound devices market is segmented into diagnostics and therapeutic ultrasound. Among these segments, diagnostic ultrasound accounts for the largest market share owing to the several factors including large-scale use of 2D ultrasound in disease diagnosis, increasing technological advancements in the field of 3D/4D ultrasound and availability of significant medical reimbursements. By device portability, the market is segmented into trolley/cart-based and compact/handheld ultrasound devices. In which compact/handheld ultrasound segment is anticipated to grow at the highest CAGR during the forecast period owing to the ease of operability and expansion in application horizons. By application, the market is classified into radiology/general imaging, cardiology, and some others. Among these segments, the radiology/general imaging application holds the largest market share is owing to the rising incidence of various cancers and growing market availability. By the end user, the market is segmented into hospitals, diagnostic and surgical centres, academic and research centres and some others. Among these segments, hospitals, diagnostics, and surgical centres hold the largest market share is owing to the rising number of diagnostic imaging procedures performed in hospitals and increasing adoption of minimally invasive procedures in hospitals by the healthcare professionals. By types of devices, mobile ultrasound devices segment is anticipated to hold the largest portable ultrasound market size, and cardiology application is the fastest growing segment during the forecast period. The major factors that are driving the growth of the medical diagnostic and therapeutic ultrasound devices market are an ageing population to drive the vascular and cardiology, huge untapped market existing for an ultrasound, long-term effects and high costs prevent patients from opting for radiation-based imaging method and increasing number of healthcare institute and enhanced healthcare infrastructure. Increasing demand for minimally invasive devices, rising prevalence of cancer and cardiovascular diseases, increasing ageing population and technological advancements are the major factors that are propelling the growth of the Europe ultrasound devices market. However, lack of skilled professionals and use of refurbished instruments are the factors that are hindering the market growth. Vivid E95 is a premium 4D cardiovascular ultrasound system by General Electric Company, is designed to help patients rise complex healthcare challenges. The launch of the ACUSON Bonsai ultrasound system by Siemens addresses increasing demand for quality echo exams in more locations and fast-paced clinical environments. 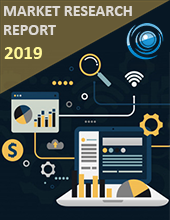 Along with these companies, there were many other companies considered/cited in the report while analysing the Middle East and Africa Ultrasound Devices Market. These companies hold substantial share-owning to the nature of the industry whereas rest of the market shares are marginal chunks to regional and local level manufacturers. Other players have considerable presence owing to its robust brand image, geographical reach and strong customer base. 11.6 Samsung Electronics Co. Ltd.